Go Freediving believes everyone should try freediving at least once, and a freediver course is the perfect way to do this! Why? Because you will learn in a safe environment, under expert tuition and redefine what you think you are capable of. 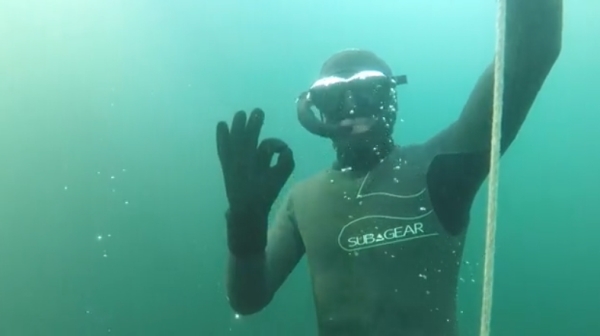 Freediving is a unique sport that whilst some classify as an extreme sport it is actually a very relaxing and meditative activity. Some people come to freediving with the view to pushing the limits of their body and taking freediving to a competitive level. 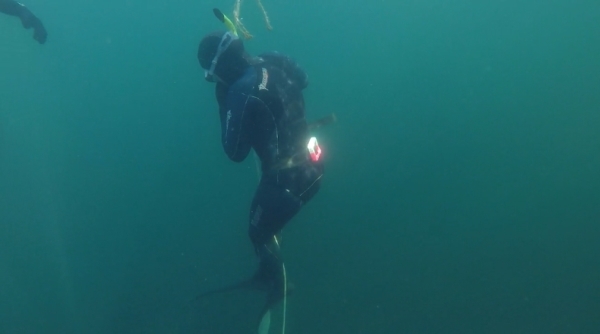 Others are interested in learning to spearfish and know that you have to know how to freedive in order to do it safely. Freediving is often on a ‘bucket list’ for people, an experience to try at least once in your life, and others just like the freedom of moving in three dimensions (underwater flying) and interacting with wildlife. This uniquely wide scope attracts interest from all walks of life – from water lovers with a sense of adventure through to water haters who are simply so curious. In between there are those who have a keen interest in understanding how their bodies work and what they can actually achieve, and those who simply want a peaceful past-time that can also enrich their travels and other areas of their day to day lives. 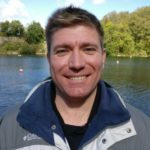 Why should I do a freediver course? If you scuba dive, snorkel on holidays, enjoy surfing, swimming, SUP (stand up paddle boarding) or enjoy any other water based activities a freediver course can significantly increase your safety in the water, your confidence and your overall enjoyment of your watery surroundings. 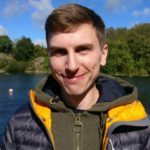 If you suffer from anxiety or stress or have difficulty ‘switching off’ and relaxing, a freediver course can help you manage your condition through useful breathing techniques in and out of the water. In addition to this the confidence you achieve when you complete the course significantly improves self-esteem and confidence when faced with unexpected or difficult situations. 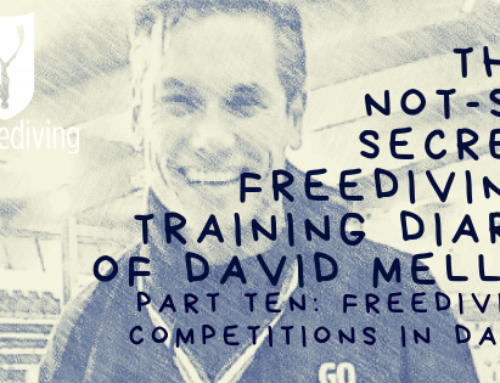 If you are a keen athlete or fitness enthusiast, skills learned through freediving can be transferred to your land or water based training and can improve stamina and performance. If you are looking for a new sport that will challenge you, but also encourages you to explore and exceed your expectations regardless of your size, age or physical ability, a freediver course will do that. In addition to this, you will become part of an incredibly friendly, supportive, like-minded community and your water based activities on holidays will be more satisfying. Why should I do a freediver course with Go Freediving? Good question! 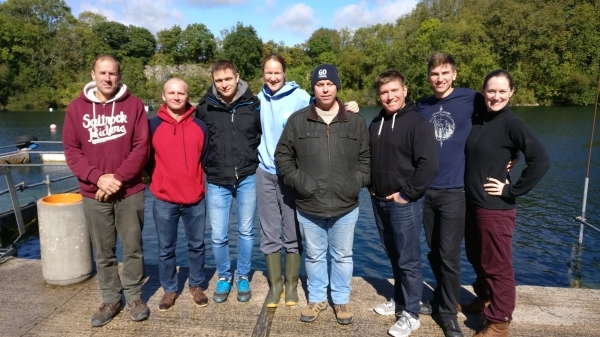 There are many reputable freediving course providers in the UK who offer excellent courses for students. We believe students come (and return to us) because we are the most experienced, offer the lowest ratio of students to instructors and have an impeccable safety record. Not only that, but our choice of course programme (RAID) and venue (Vobster) is the perfect combination for maximising learning and progress. Plus, did you know our instructors are of the highest standard in the UK? 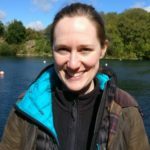 We have world leading owner instructor Emma Farrell together with no less than three instructors currently training with the British Freediving Team! Which freediver course should I choose? Most freediving schools will offer different levels when offering a freediver course. They will go by different names, but in general there will be a short un-certified course which is an introduction to freediving (ours is the Try Freediving Course), then there is the basic or first level freediver course (ours is the RAID Freediver Course) which is the first certified freediver course. 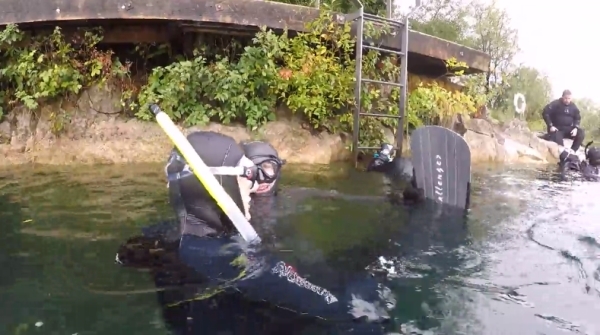 After that you can progress to an advanced freediver or master freediver course. The most popular course everyone takes (this is regardless of any previous experience or confidence) with Go Freediving is the RAID Freediver Course, and for very good reason. The course is incredibly rewarding for students. It provides theory, safety, confined water skills, and open water skills. 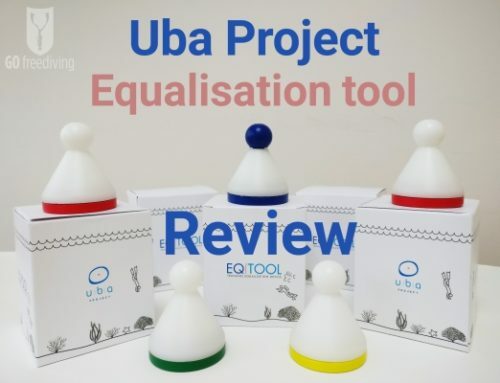 It is also the first stepping stone to progress through the skill levels if you are interested in continuing to improve your knowledge and performance. 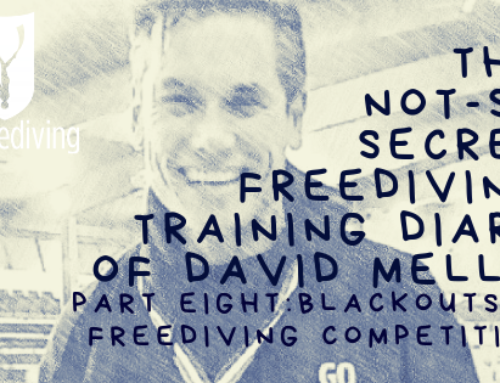 However, we completely understand this is not the objective of everyone, so this course provides a substantial level of freediving knowledge for you to continue diving, enjoying and improving safely. The aim after the RAID Freediver Course is to make you a confident, knowledgeable and self-sufficient freediver, able to freedive safely with a similarly qualified buddy. The skills you will be learning are transferable to dry land too (honestly!). When Can I do a Freediver Course? 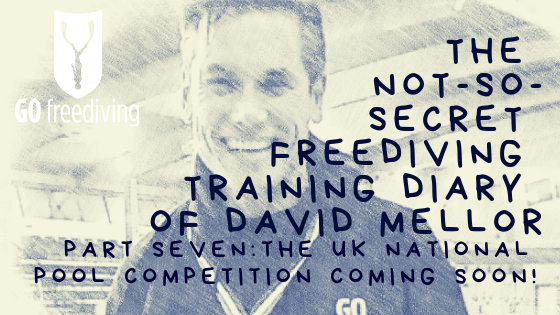 The freediving season in the UK runs from April through to mid October. However, we run in other countries year round! So the question is not necessarily ‘when is the best‘, but ‘where is the best’! Go Freediving runs courses primarily in the UK, however, this year alone we have also taught in Egypt, Tenerife, the US and Abu Dhabi, so if our UK courses don’t suit, you can always join us during one of our overseas trips too! 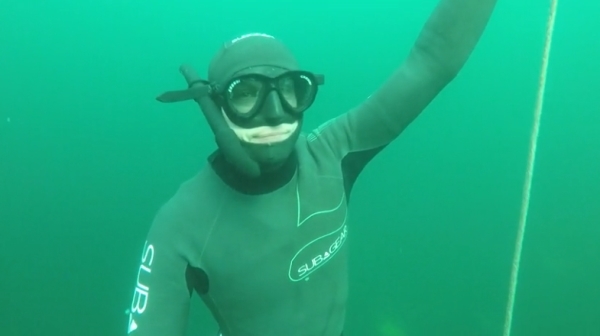 What Happens on a Freediver Course? In the UK this usually takes place over a weekend although we have at least one midweek course throughout the summer. 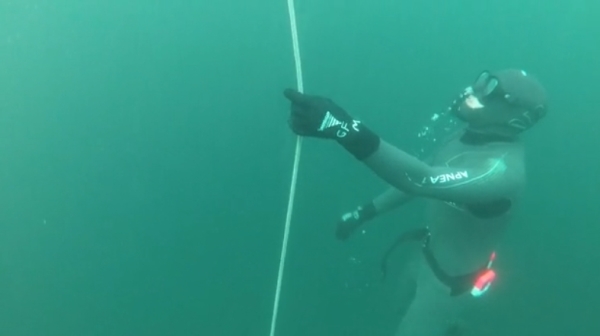 You’ll learn not only the technique of freediving such as finning, body position, free immersion, constant weight and dynamic apnea, but you’ll also be taught the Frenzel equalisation technique. 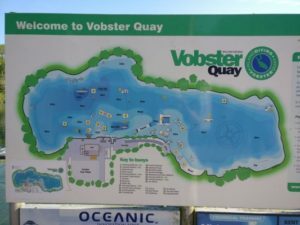 Safety is an integral part of the course so you’ll learn how to be correctly buddy, rescue and self rescue techniques, as well as the right way to breathe both before and after a dive. 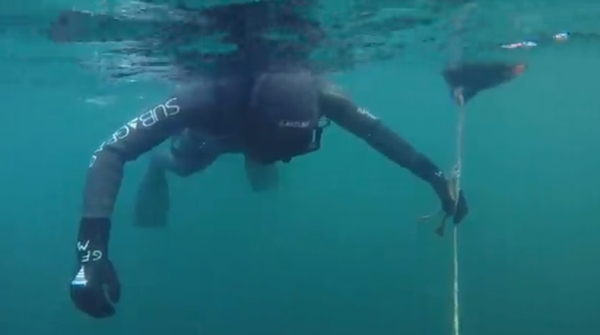 If you want to find out more about what happens on a freediver course, check out what happened on this recent course! 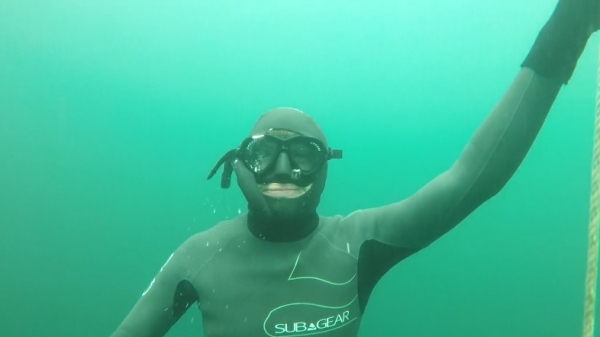 My wife Lucy is very interested in freediving, and after having a small taste of snorkelling on our honeymoon I thought it would be great to be able to do it better. Anything that helps me to go further, relax more and see more is what I am after. My wife did all the research and found Go Freediving online. I did a bit of reading and looking around and it seemed like a really good course. The biggest thing for me, as I am not a natural water dweller, was the whole relaxation thing, because it makes such a big difference to my breath holding ability. It’s about getting into that kind of zen state, just relaxing and then going with it and I really enjoyed that. I enjoyed the practical guidance while you are doing it in the water. Although there is a lot of theory to go over, I found I improved much quicker by giving it a few goes. The benefits of doing the course are the breathing for one, which is something that I didn’t know I wasn’t doing right, and that can translate into a huge number of other things. And then relaxing and enjoying the environment rather than just jumping in and getting out. It’s just really good fun to be able to explore a bit more under the water. 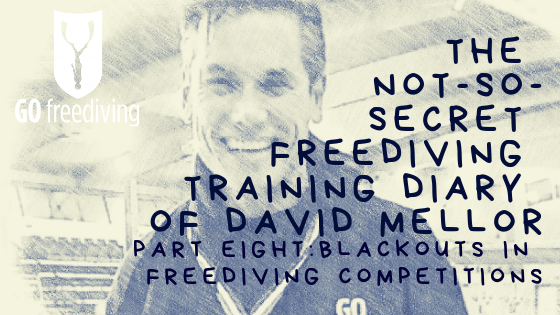 I have wanted to do a freediving course for years. I wanted to learn how my body works, and how to breathe properly and I want to be in control of myself underwater. 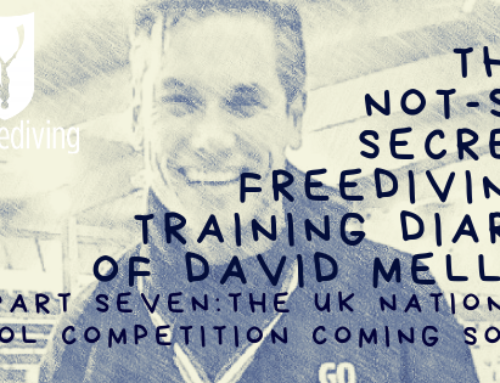 I chose Go Freediving because they were the top hit on Google, I wanted to do it in the UK and the RAID freediver course seemed like the most logical, sensible and decent place to come and learn to freedive. Doing the course helped me to discover that I need to practice more and which kit I need. I didn’t even know you could do this in the UK, which is amazing. 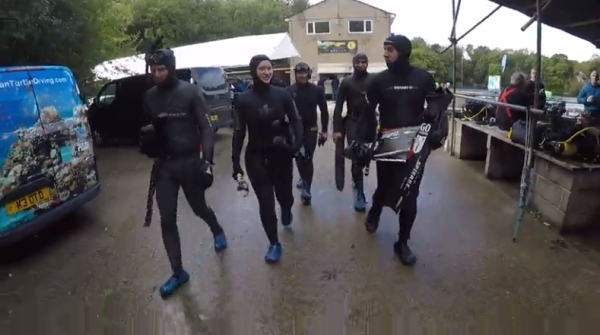 I didn’t realise that there was actually a whole freediving club. Everyone is so friendly and welcoming and it is just nice how friendly everyone is. The knowledge of the instructors helped me to talk through every problem I had as they would break it down. You feel so safe as there is always someone watching and looking out for you which is really good. I wasn’t a very good swimmer so I set myself goals learning to swim, learning to freedive and then learning to spearfish. If I am going to do something I am going to do it properly. So a few months ago I got a swimming instructor to teach me to swim properly and now I am learning to freedive. I like to learn to do something properly rather than teaching myself bad habits. 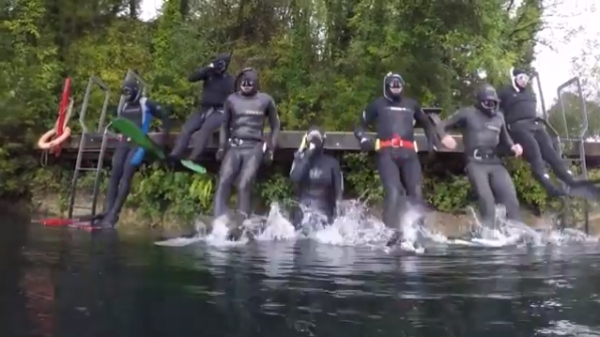 I watched the Hugh Fearnley-Whittingstall River Cottage Episode with Emma and that made me realise I can learn to freedive in the UK from professionals. 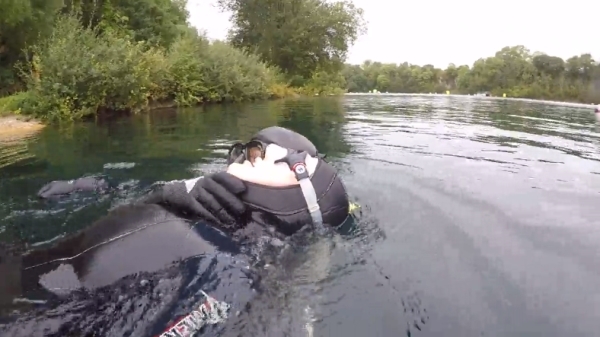 I remembered that it was in Bath and looking on the internet found Go Freediving and saw it has a really good reputation and Emma’s history made me choose this course. I have discovered how to put it all together and that learning from your mistakes is a great way to learn. Having that one on one tuition almost the entire course is rare in any learning experience and being able to have that was really good. Having someone tell you what you doing right, what you doing wrong and why you are doing it wrong, how to improve on it and then progressing from there is just a nice way to learn to adapt things. The atmosphere is really friendly and relaxed and that helps a lot and everyone feels comfortable to ask as many questions as they like no matter how stupid they think the questions are. I think that is really important and there a really nice feel about the whole course. The way the kit and course is put together, is really balanced and is really good.